Former Harvard student Brittany J. Smith confirms her guilty plea on Friday for her role in the May 2009 killing of a Cambridge drug dealer Justin Cosby in Kirkland House. Smith was sentenced to three years in prison plus two years of probation. 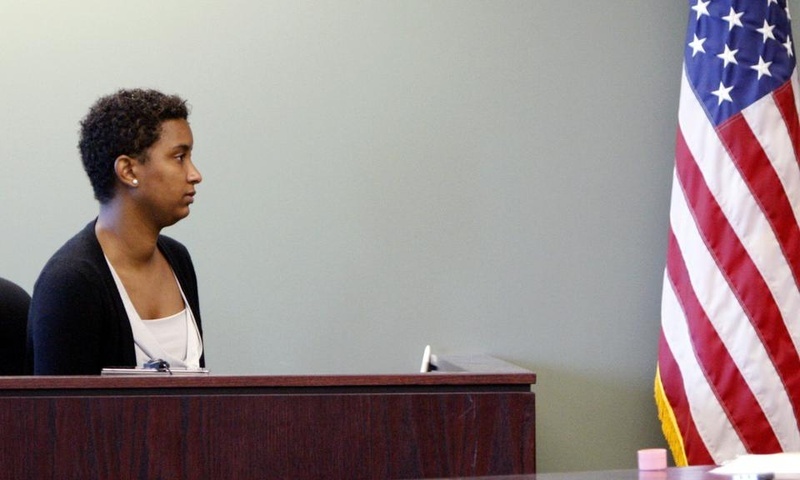 WOBURN, Mass.—Former Harvard student Brittany J. Smith pleaded guilty Friday to five of six counts related to her role in the May 2009 killing of a Cambridge drug dealer in Kirkland House. She was promptly sentenced to three years in prison, in addition to two years of probation. After a two-year legal drama, Friday’s sentencing marks the fourth and last individual to be convicted in connection with the 2009 shooting that resulted in the death of Cambridge resident Justin Cosby, 21. The ruling follows the felony murder conviction of her boyfriend at the time of the shooting, Jabrai Jordan Copney. Smith was convicted of hiding the murder weapon her boyfriend handed her after the shooting and of then lying to investigators about her involvement. Smith pleaded guilty Friday to accessory after the fact to assault and battery with a dangerous weapon, accessory after the fact to unlawful possession of a firearm, unlawful possession of a firearm, and willfully misleading the police. Smith also pleaded guilty to the charge of willfully misleading the grand jury. Under the terms, Smith acknowledged repeatedly lying to a grand jury but maintains that in several instances she did, in fact, not lie. In the charge of accessory after the fact to murder, Smith maintained her not guilty plea. Smith's sentence does not grant her the possibility of parole, and while she is on probation she must seek to maintain employment or attend school. "By pleading guilty today, Brittany Smith is taking responsibility for her role in the events leading up to, and directly following, the senseless murder of a beloved young man," Middlesex County District Attorney Gerard T. Leone '85 said in a statement. Smith, the only Harvard affiliate charged in Cosby’s murder, stood in court on Friday with her attorney John P. Osler. Her father and more than 10 family members and friends looked on. 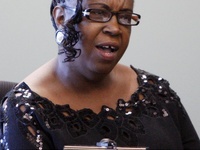 "Your nonchalant and cavalier attitude makes me sick," the victim’s mother, Denise Cosby, said in court. "You were the nucleus of this catastrophe." Denise Cosby was joined by several members of the victim’s extended family, including Cosby's uncle, who also spoke out in court. Gregory Cosby said that Cosby was "amazing with children" and frequently volunteered and worked with children prior to his death. "They loved him, and he also loved them," Gregory Cosby said, reading from a statement. "What gave you and your boyfriend the right to plan his murder? I never met you, but words cannot express my anger toward you." Cosby was studying at Salem State College the semester prior to his death, Denise Cosby said in an interview after Friday's court proceedings. He had just withdrawn for the semester and was planning to return to school that fall, she said. Denise Cosby said that her son aspired to be a physical education teacher because he thought that the subject would be fun for the kids. "I couldn't believe as my son passed away right in front of my eyes," she said in court, addressing Smith. "In my opinion, you are just as responsible for my son's death as the shooter." Friday's hearing came at the conclusion of sentencing negotiations between the prosecution and defense, which had been ongoing since June when Superior Court Justice Diane M. Kottmyer denied the defense's motion to dismiss the charges. While the defense recommended a sentence of two and a half years, the prosecution asked that Smith be sentenced to five to seven. At three years in prison, the ruling handed down by Superior Court Justice Kathe M. Tuttman splits the difference between the two sentencing recommendations. Jason Aquino, 23, one of the three men implicated in the May 2009 Kirkland House shooting, pled not guilty to charges of murder, armed robbery, and intimidation of a juror and was held without bail Tuesday. As legal proceedings move forward against the four defendants charged with participating in the 2009 killing in the basement of Kirkland House, two defendants plan to plead guilty while the two others—the man who allegedly pulled the trigger and the Harvard student who is charged with aiding the murderers—are set to stand trial next month. Nearly two years after the May 2009 shooting in the basement of Kirkland House which killed 21-year-old Cambridge resident Justin Cosby and sent shock waves through the Harvard community, the man who allegedly fired the fatal shot is on trial for murder. Our reporters will be in the court room every day to bring you minute-to-minute coverage of the proceedings. Jason F. Aquino, one of three men implicated in the fatal 2009 shooting of Cambridge resident Justin Cosby in the basement of Kirkland House, was sentenced Monday to 18 to 20 years in prison. 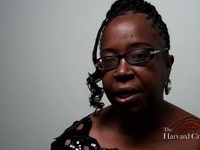 As a judge heard arguments for the first time relating to B. Denise Cosby’s wrongful death lawsuit against Harvard for the 2009 murder of her son in Kirkland House, lawyers for Harvard said that the University cannot be held responsible for the drug deal gone wrong, and the suit should be dismissed.